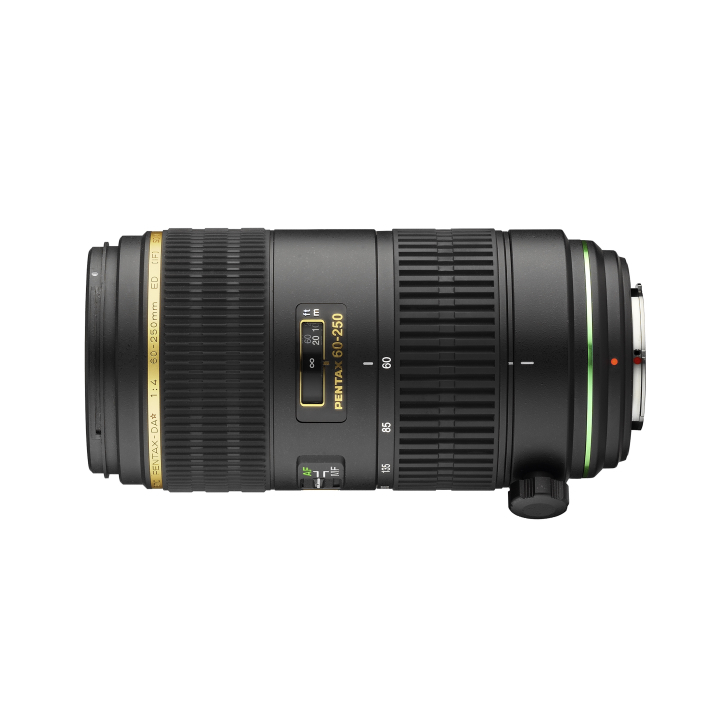 Designed to deliver top optical performance, the smc PENTAX-DA★ 60-250mm F4 ED[IF] SDM (equivalent to 92-383mm in 35mm format) is a versatile telephoto zoom lens. 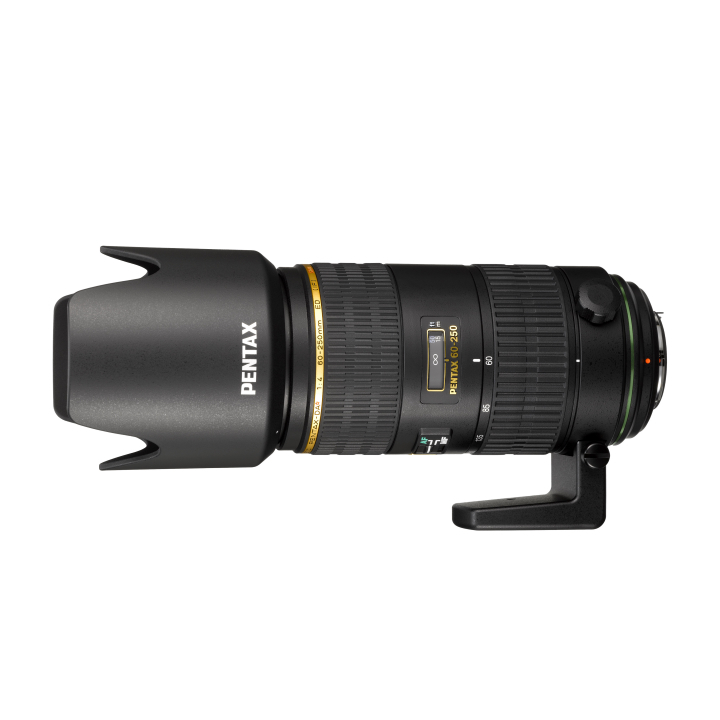 Combining advanced technologies including super-low-dispersion optical elements, extra-low dispersion (ED) optical elements and PENTAX original lens coatings, this multi-purpose lens assures outstanding image quality with clear, high-contrast images, even at image field edges. 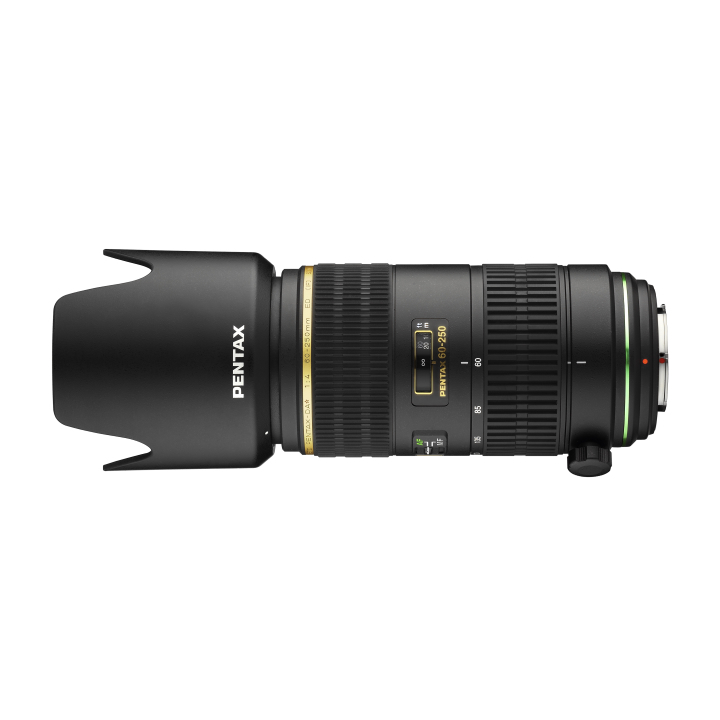 It features water and dust resistant sealing for reliable operation in inclement conditions, and a PENTAX Quick-Shift Focus system allowing instant auto-to-manual focus switching. The objective lens surface is treated with the PENTAX original Super Protect (SP) coating, which repels dust, water and grease to keep the lens clean and image quality at its peak. Comes with removable tripod mount for better balance when used on a tripod or monopod. 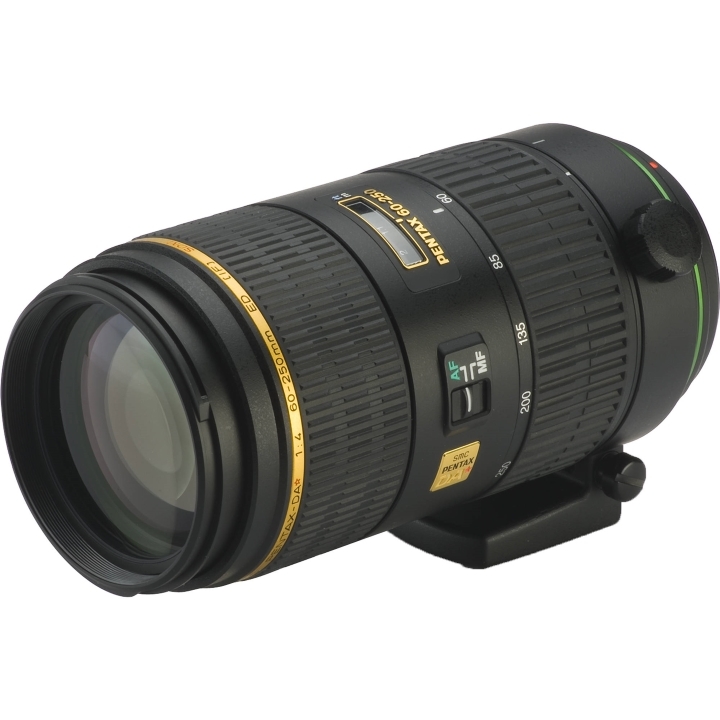 Featuring high quality, weather-resistant and dust-resistant construction, SDM autofocus, and extra low dispersion glass, the smc PENTAX DA Star 60-250mm f/4 ED (IF) SDM (exclusively for PENTAX digital SLR cameras) is a versatile telephoto zoom lens for photographers who demand flexibility and the highest quality from their glass.